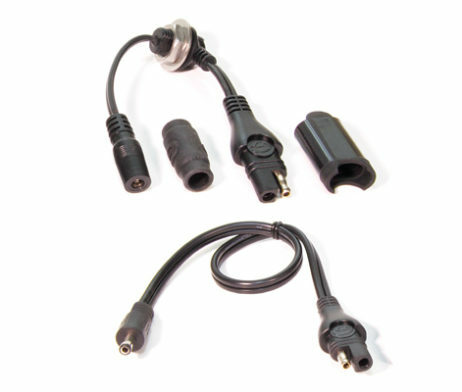 DC2.5mm plug to SAE adapter and in-line rubber seals for all connectors. Electrify your tankbag (delivered with’crosshair’ power entry) or create a weatherproof power point on your hard luggage. 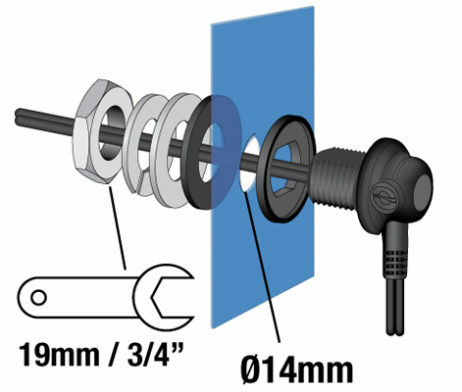 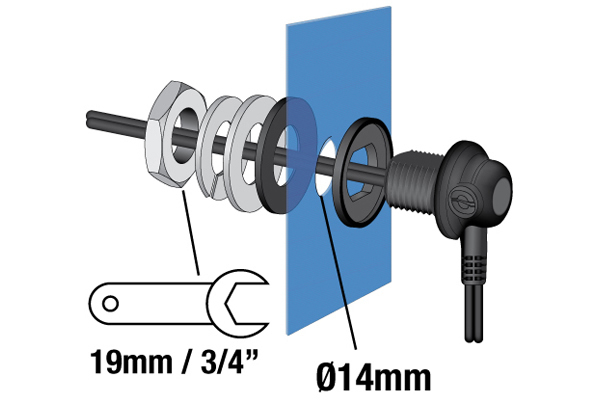 The elbow connector’s round DC socket fits through a Ø 9/16″ / 14mm ‘cross-hair’ hole, thru connection is secured and sealed with custom rubber seal, M14 S/S nut & washer. 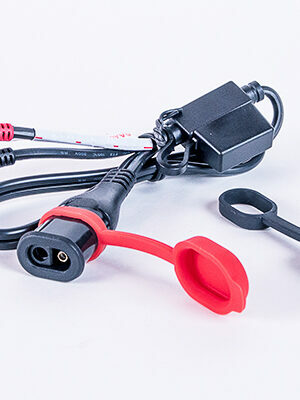 Power is provided through the external OptiMATE heavy duty 2 pin SAE connector, compatible with all other. 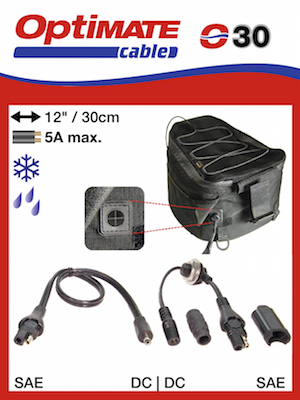 -40°C/-40°F very low temperature use; cable remains flexible in ‘below freezing’ temperatures. 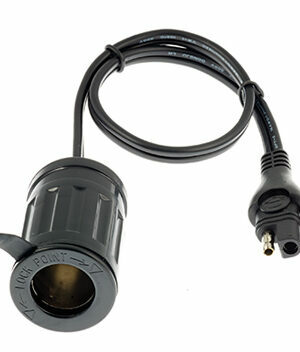 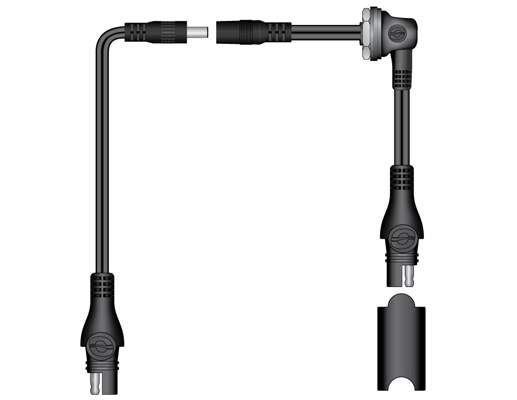 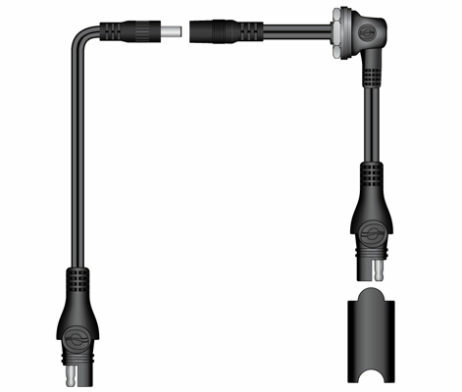 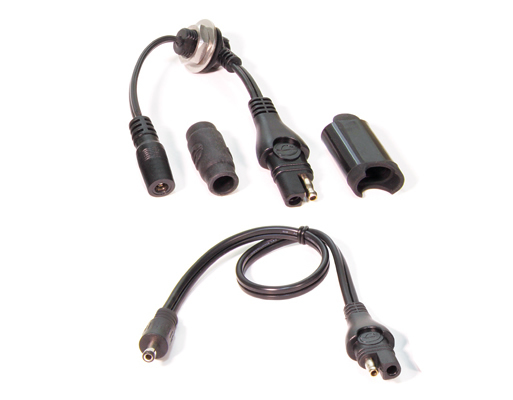 Includes DC2.5mm plug to SAE adapter and in-line rubber seals for all connectors. 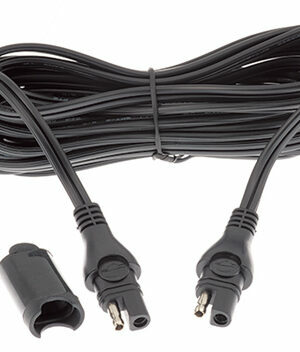 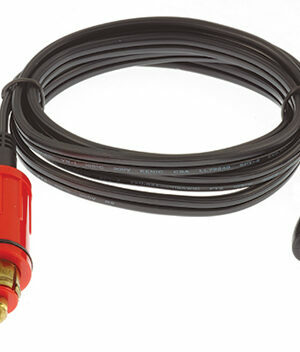 SKU: O30 Category: Cables Brands: Optimate.